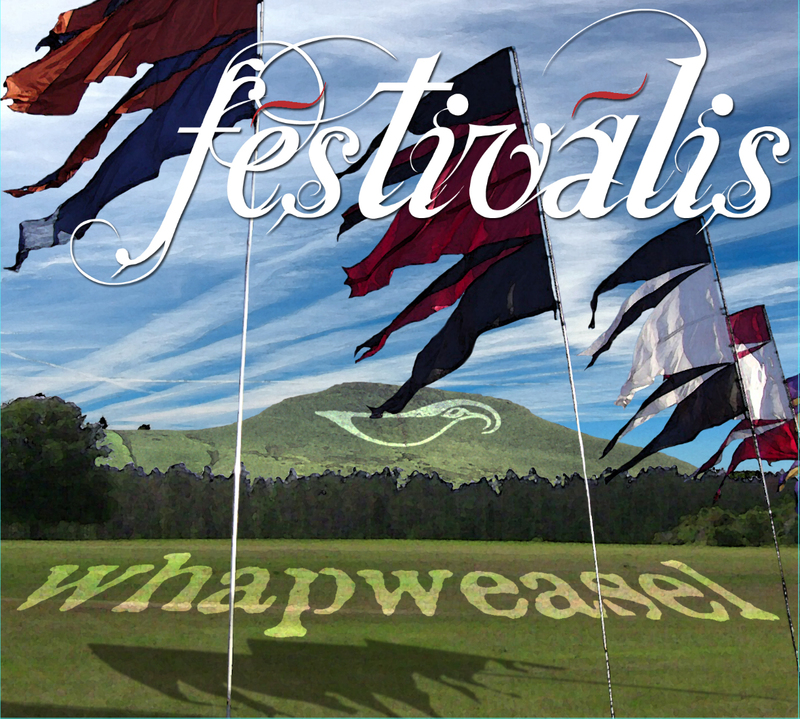 Renowned folk dance band Whapweasel have undergone something of a recent transformation with the addition of songs to their established instrumental repertoire. Led by the strong vocals of Saul Rose, this brings an extra dimension to their new album Festivalis and the result is something rather special. Festivalis opens with the local North-East song The Hexamshire Lass, followed up with the spirited High Barbaree/No Money for Vodka, with a touch of swing and a hearty big band feel, the latter being something that features throughout the album. The familiar instrumental excellence of Whapweasel underpins the album and these are still great tunes to get you dancing. Particularly good are Ukelele Shaker (although this is described on the album notes as ’not for dancing’) and the excellent Whapper’s Delight. Slower, more considered and elegant are the instrumentals Bell Towers/ February Waltz. This is an album of varied tone. The cheeky and unsubtle farming-based innuendo of The Wanton Seed contrasts well with Snow Falls, featured in the play War Horse and written by John Tams. This is a lovely song of hope and resilience in the face of horror. There is also a fine, swinging version of the Mike Waterson classic Country Life. Festivalis marks a real step forward from Whapweasel, becoming much more of a concert band while retaining all of their dance/ceilidh strengths.